This was very informative and helpful in calculating yeast viability. Are you aware of any studies that compare flavor/ester profiles of yeast rehydrated at various temperatures? Admittedly, I’m unfamiliar with dehydrated yeast as I mostly use liquid yeast, but it would seem that yeast rehydrated at higher temperatures that are then pitched into wort at pitching temperatures might get stressed out and potentially cause off flavors, mutate or die due to the temperature differential. I know with liquid yeast the labs state to not pitch the yeast into wort that is more than 5°F different in temperature. You’re right, Luke. But then again you aren’t supposed to pitch the “hot” yeast into cold wort. The rehydrated mixture is slowly equilibrated either by adding cold wort little by little until it’s near wort temperature or allowing it to passively cool until pitching temperature. I imagine the shock of going from hot to cold would kill a portion of the yeast cells. Sounds like we have a topic for the next experiment! The big debate on Forums in the UK is why bother rehydrating when the yeast manufacturers say just pitch dry? Followed by lots of anecdotes about how their beer is great. Personally I have always rehydrated and followed Chris White’s technique in the Yeast book. What I would like to see you do is a straight experiment that compares rehydrating with this proven method against pitching dry. It would give me great pleasure to link to the results. I don’t think I’ll do a study like this myself, or at least not in the near future. Partly because it’s time consuming, and partly because it’s been done already. As with everything in science, everything is a combined effort and no one group does everything. So in this case you can do the same. 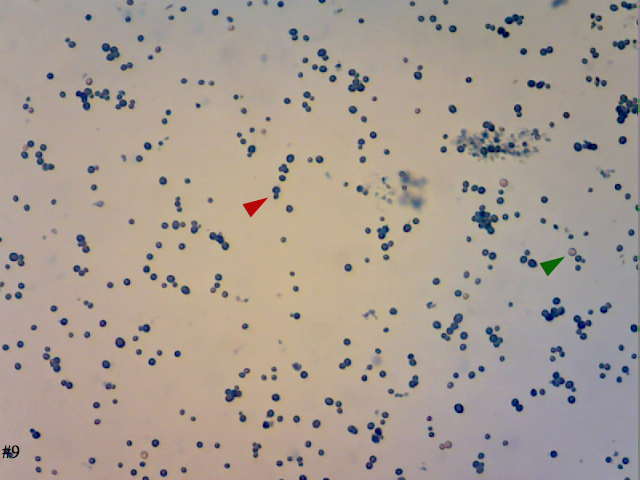 This little study shows that there is a difference in yeast viability between rehydration in water vs wort, meaning that a straight pitch into the wort will result in underpitching since a significant part of the yeast will die. Now, Jason did a pitching rate study a year ago (http://sciencebrewer.com/2012/03/02/pitching-rate-experiment-part-deux-results/) showing how pitching rate affects the resulting beer. I think you can combine these to use in your argument and support your point. Wow! Your data shows effects of wort on viability very clearly! I’ve only tested hydration of yeast with water and that was over a much smaller temperature range. I would like to give this a shot and try to duplicate your results. Yes! Please do! It would be great to see someone else get similar results. Very nice results. This is an experiment that’s on my TO-DO list as well. I’m really surprsised to see the strong optimum for the water temperature. I’m with Steven that repeating this will be very interesting. I have been thinking about using 3M petrifilm to count live cells and get around the issue of the limitations that staining has. But a pack of 50 is $80. Yes, Kai, repeat this when you get the time. It would be cool to see how our results correlate or differ. Petrifilms look a lot like pre-made mini agar plates. Not exactly the same, but same principle. Give it a try if you want. Or you can just make your own plates or buy pre-poured ones for around the same price. This was a great post. When I don’t have a lot of time, I’ve occasionally done BIAB 3.5 gal. batches, chilling partially and then letting my fermentation fridge do the rest of the cooling. The next morning, I would pitch a packet of dry yeast, expecting a lot to die off and have a decent pitching rate for 3.5 gal. From your data, it underpitched by a significant amount. Looking at my notes, all three beers I made using this method attenuated below or on the low end of the expected range. Now I understand why that might have happened. Thanks! To be honest until last year I too used to just sprinkle it straight into wort, but since I started rehydrating and looking up more info on that I’ve become a convert and believe that warm rehydration is the way to go for a healthy pitch. These data strengthen my opinion, though I didn’t think that 32-35C was so different from room temp. 30-35 °C is actually the temperature range that Danstar recommends. So my first impression was, you just got the same answer that is already on the package. Then again, the package also says you can pour it directly into wort which is apparently a bad idea. So, do you think this temperature optimum does also apply to fermentis yeasts, especially the lager strains? If i recall correctly, fermentis recommends 27 +/- 3 °C for ale strains and 24 +/- 3 °C for lager strains. Since the drop in viability below 30 °C is pretty sharp, this would make quite a difference. This is a rather newbie question, but why does temperature matter when rehydrating dry yeast cells? Higher temperature increases osmotic pressure, so maybe between 30-35C is when the rate of osmosis is just right for the cell? If so, then why does a slower rate of osmosis kill the cells? 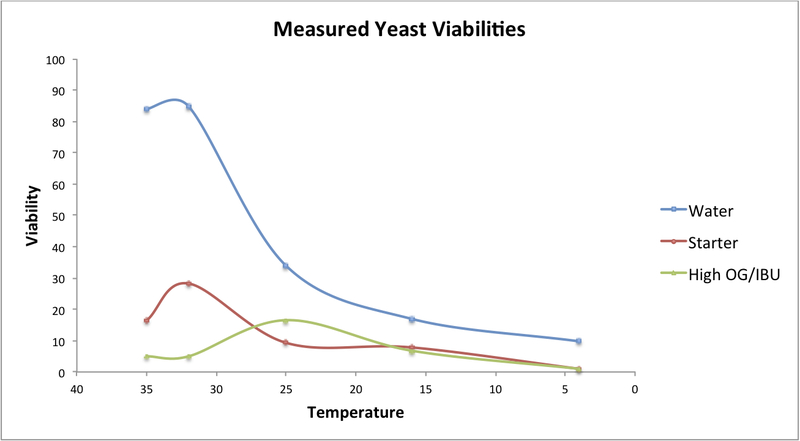 There is no doubt on your viabilty curve that shows clearly 30-35 deg C is best rehydration temperature for the strain of yeast tested . However I ask whether the same applies for dried lager yeast, fermentis s-189 in particular where the manufacturer recommends 23 deg c as the optimal rehydration temperature. In such case, I am wondering whether the “peak” in the curve you have produced would be shifted 10 deg C to the right ? Great article, and very informative. Just curious if you have any thoughts of difference in Ph from hydrating in fresh water, and pitching to wort. 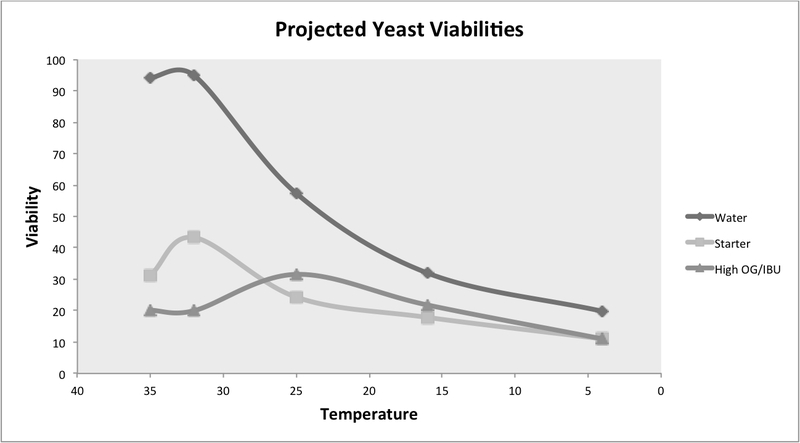 Will this cause stress similar to difference in temperature delaying yeast in activity?